We have found that working mothers in Mongolia have the same concerns as mothers elsewhere in the world. And if these concerns happen to include the welfare of children, we know that working parents lose focus, and job efficiency suffers. Although many of the challenges of parenting are the same regardless of location – whether in Mongolia, Manila, or Minnesota – Mongolian families face more challenges than most. This is because many Mongolians still live in traditional Mongolian tent-like structures called gers. Ger families must rise early each morning to begin their day in a cold home that has no running water or indoor bathroom facilities. A fire is built in the central stove to coax the children from their warm beds. Food is prepared in these primitive conditions, and everyone dresses quickly before piling onto a crowded bus for the trip to wherever they must go – one which they must often make while standing, because seating is frequently insufficient. One of the most awesome things which God has enabled us to do is to open a day care facility to support the children of the staff working at V.E.T. Net. We feel that this may be one of our most important ministries yet, as these children are becoming the second-generation Christians who will in turn carry the Gospel to the next generations of Mongolians. For the V.E.T. Net parents, there is the added peace of knowing that their children are safe and secure in an environment of Christian love and learning. A week or so ago we uploaded a short video of Mongolian children playing, sharing, learning, and singing, attended by teachers who lovingly care for them. If you have not watched this video, you are really missing something. Who doesn’t like Praise music and beautiful children? Check out the video, and witness the transformation that is happening every day in a country that was once closed to Christianity. It is our hope that the day care model we have created at V.E.T. Net will become the standard by which other organizations care for their workplace children. Have you ever heard of “bone flicking”? I didn’t think so. Well, let me tell you about the unique Christian outreach program envisioned by one of our remote veterinarians. Tserendorj was born in Govisumber Province in 1980. Being a veterinarian’s son and a herder’s grandson, he grew up close to animals and livestock. His path to becoming a vet began when he started spending summer vacations with his grandparents at their herding site. He tended sheep, rode horses, and even milked the cows occasionally. Plastic toys had not been introduced to Mongolia at that time, so children invented their own games from whatever was available. Sheep ankle bones were a popular choice. One game that has remained popular is played with a piece of bone about the size of a Mongolian 50 cent coin (a bit larger than a U.S. quarter). The bone is ‘flicked’ with the middle finger through the air at a small target just over 15 feet away, and teams of six compete against each other, two at a time from each team. Think of it as bone bocce ball. Tserendorj became addicted to the various bone games at the competitive level, and he became the champion of Govisumber Province. All was going well until he became a veterinarian and came to work with V.E.T. Net. It was there that he met his future wife, Undraa (you can read about their story in Tend My Sheep). Tserendorj quickly found he had to make a choice – either give up “bone flicking” or give up Undraa. Tserendorj and Undraa now have three children. Good call! Tserendorj recently left to return to Govisumber Province with one of our V.E.T. Net interns, Ugnaa. It so happens that during the several months he has been at V.E.T. Net, Ugnaa has been constantly exposed to the Gospel and to Christians living in service to the Lord. Before he left on his trip, he was asked by one of the teachers if he had decided to follow Jesus. Ugnaa simply replied, “Jesus is itching me.” What a unique and wonderful way of putting it! Could it be that the Holy Spirit is tickling Ugnaa’s heart? Ugnaa is also a “bone flicking” enthusiast, and he and Tserendorj will play as a team in an event during their trip. As Tserendorj says, “I want to get close to Ugnaa through our love of this sport so that I can help him give his life to Christ.” God truly works in mysterious ways! What makes a church a church? It certainly is not the number of people that gather together. Rather, it is the Spirit that is present when handfuls or hundreds gather to worship the one true God. This week we are having a special gathering of our own at V.E.T. 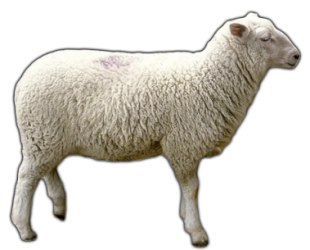 Net – our Annual Shepherd’s Conference. We now work with nearly 100 small church and home groups across 11 provinces in conjunction with our Watering-with-the-Word Program. Through this Program we provide Christian outreach and support to the remotest regions of Mongolia. Each year we invite 120-140 of the leaders from the remote churches to attend a week of training at the V.E.T. Net offices in Ulaanbaatar. Rural veterinarians represent the best opportunity to share the story of Christ with remote herder families, because they ‘Tend Their Sheep’ by regularly visiting the remote herding sites and spending time with the families living there. In this amazing way, rural Mongolians are coming to Christ one herder at a time. Praise God! Well, you missed it! The chance to put on your best Mongolian duds and participate in a non-stop eat-a-thon! Last week was a special week in Mongolia. Everybody dressed up in their traditional Mongolian dels (coats) and partied like there was no tomorrow! It was all part of Tsagaan Sar (White Moon), one of the most important holidays of the year. White Moon is a time to spend with family, beginning with visits to the oldest family members – usually parents or grandparents. Upon arrival, each family member is greeted with a kiss or a sniff on each cheek. The older person puts his or her arms on top of the younger person’s arms as they embrace. At V.E.T. Net I had to put my arms on top of the arms of approximately 70 staff members, because nobody at V.E.T. is older than me! Every family we visited had been making holiday preparations for weeks. Prior to the festival, families make thousands of “buuz” and freeze them outside in the frigid temperatures. “Buuz” are steamed dumplings, filled with chopped mutton and various seasonings. Stacks of hard bread adorned tables. Prior to meals, snuff bottles were exchanged. The main course consisted of “uuts”, which are whole sheep that have been steamed – fat tail, head, and all. And yes, the eating was pretty much non-stop: As each succeeding family member was visited during the holiday, guests were expected to enjoy the meal as if it were the first meal they were eating! Tsagaan Sar is much like the secular Christmas celebrations found in America and other countries around the world. In the past, the celebration included various Buddhist activities. But today – just as in other secular celebrations – the holiday focuses more on family and food, rather than on the religion from which the holiday originated. Here is a bit of trivia: What is the coldest capital city in the world? Answer: Ulaanbaatar, Mongolia. Ulaanbaatar is spelled with a “U”, but it is pronounced as if it were an “O”— like “Olaanbaatar”. Also of interest, there are actually four “O’s” in the Mongolian language, each with a slightly different pronunciation. So – since it is so cold here – when my wife, Frances, says, “Gerald, go to the freezer and get a roast,” I step out the back door onto the deck of our 8th floor apartment and into the world’s largest freezer, where I grab a 10 pound chunk of meat, which is frozen solid. With temperatures frequently registering at 40 degrees below zero, the temperature is easily colder than your freezer at home. Interestingly, at 40 below, the Fahrenheit and Centigrade temperatures are exactly the same. There is at least one good thing about the cold weather in Mongolia. One of the V.E.T. Net programs we administer is called Gift-of-Love (see the video available on our website and Facebook sites). This program provides sheep and goats to poor families in remote regions. When delivered during the late fall, animals that are slaughtered and processed will last throughout the entire winter due to the extreme cold temperatures. Processing meat is not a problem, since almost every rural Mongolian knows how to do so. Neighbors help those too old or otherwise unable to process their own meat. The skins can be sold for cash to purchase flour, rice, and other essentials. 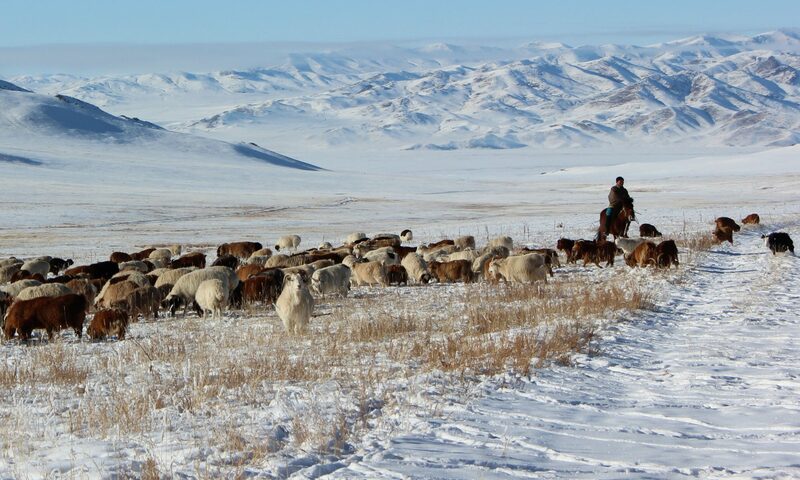 Mutton is the favorite meat of Mongolians, but goats are provided to the poor in areas where there are few sheep. One of the principle advantages of goat meat is that it can be preserved by drying, using animal dung. The dung smoke gives the meat a special flavor, which actually improves over time. Cashmere goat skins are especially valuable. Over the years, fishing has been one of our favorite pastimes. Many times my wife, Frances, and I waded the clear, cold waters of Montana and Wyoming to cast a bit of hair and feathers to those wily trout. Hour after hour we tried to entice sleek rainbows and browns until the surface of the river exploded and our lines drew taut. However, God touched Frances and me on the shoulder and said, “Come and follow Me and I will make you fishers of men.” So, we left the U.S. and moved to Mongolia in search of men and women to reel in for the Savior. But even as we “fished for men,” God gave us the desires of our heart. The Mongolian streams teemed with Siberian salmon and we were in the midst of some of the greatest fishing in the world. Tiamin, which grow to the size of a man, lurked beneath the surface of shimmering rivers, just waiting to be caught. “I got one,” Frances would scream as my pole also bent double. We stopped counting after 50 fish that day and caught and released fish after fish — although we did keep a few for the frying pan, to break the monotony of our countryside diet. Sometimes following God does not lead to deprivation. We may just be blessed with super abundance along the way.